We Install In-Car Entertainment - WE COME TO YOU! At Streets Installations we can offer a DAB upgrade at a very reasonable price to give you access to many more radio stations than your standard FM. Dual 7” headrest screens with built in DVD / MP3 / CD and 25 video games. Each headrest is handcrafted to match the factory seat colour, grain and seam stitching. Complete with 2 x wireless headphones, 2 x wireless game controllers and 1 x remote control. 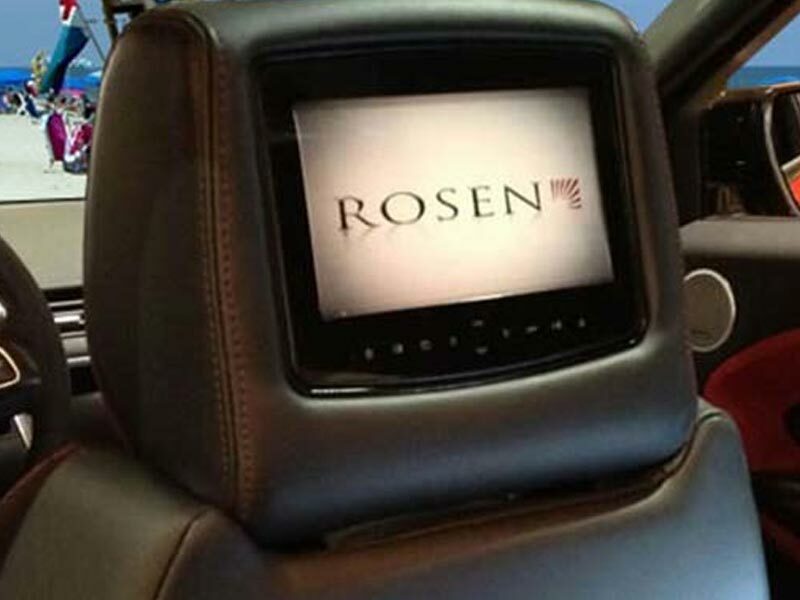 Rosen rear seat DVD headrest entertainment system. Roof mounted All-In-One DVD / CD / MP3 screen.